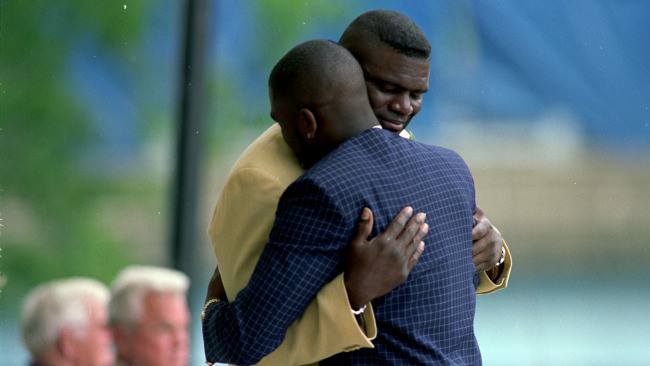 Lawrence Julius Taylor, nicknamed “LT”, was inducted into the NFL Hall of Fame in 1999. In the touching photo above, after the son introduced his father, they embraced and gave us this tender, moving memory. The Hall of Fame was his destiny. 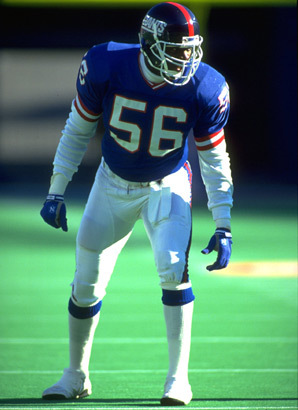 The rash and brash linebacker for the New York “Football” Giants was arguably the best to play the game at his position. On the field, he was tough and torrid, ruthless and relentless, hard-hitting and bull rushing; he was loved by many but loathed by many more. Off the field, the description of his life was equally yet inequitably the opposite side of the same coin: rough and ragged, tragic and turbulent, messy and moody; his was a loose life and an edgy existence. While elected to the Hall of Fame he also lived a life of shame. 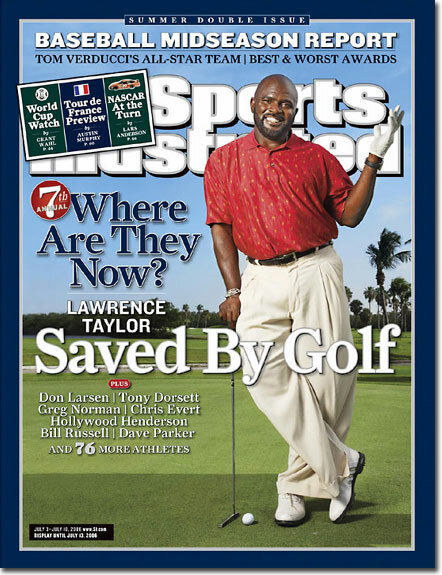 In contrast to his success on the football field, Taylor’s personal life has been marred by drug usage and controversy. When Taylor was once asked what he could do that no outside linebacker could, his answer was, “Drink”. However, alcohol abuse was not the largest of his substance abuse problems. After admitting to and testing positive for cocaine in 1987, he was suspended from football for 30 days in 1988 after failing a second drug test. After his second positive test he gave up drugs for five years as a third positive test would have ended his career. The Hall of Fame and a life of shame. It doesn’t seem that the two should go together, but unfortunately, sometimes they do. Just ask Samson. Samson is listed in the Biblical “Hall of Faith.” On the field, Samson could single-handedly route the Philistines and sack their leaders with his bull rush anointing. Off the field, Samson fell prey to the wiles of whimsical women, not the least of which included devilish Delilah, through whose machinations he lost his spiritual power. Samson lost his heart and his hair, his sense and his sight in a most shameful way; he was sentenced to a disgraceful and dishonorable life after his standout career as a judge who once delivered Israel. Hebrews Chapter 11 recounts the heroic exploits of Abraham, Isaac and Jacob; Moses, Joshua and Rahab; Gideon, David and Samuel. And yes, Samson made this list in spite of his reckless, loose and licentious living. Samson made the list and is included with other Biblical greats in the Hall of Faith. God’s grace allowed Samson’s life to be an example for us to follow, and not to follow. His strength was laudable, and his weakness was deplorable. Lest we’re too hard on Sampson and LT, we all must remember that we too can go from fame to shame. We can all learn lessons, discern distinctives, and earn points for life from both sides of the same spiritual coin. In the end, Samson yet again delivered Israel, and in death he defeated more Philistines than he killed in his life. In his death, his life of shame indeed was turned back to a life fame.